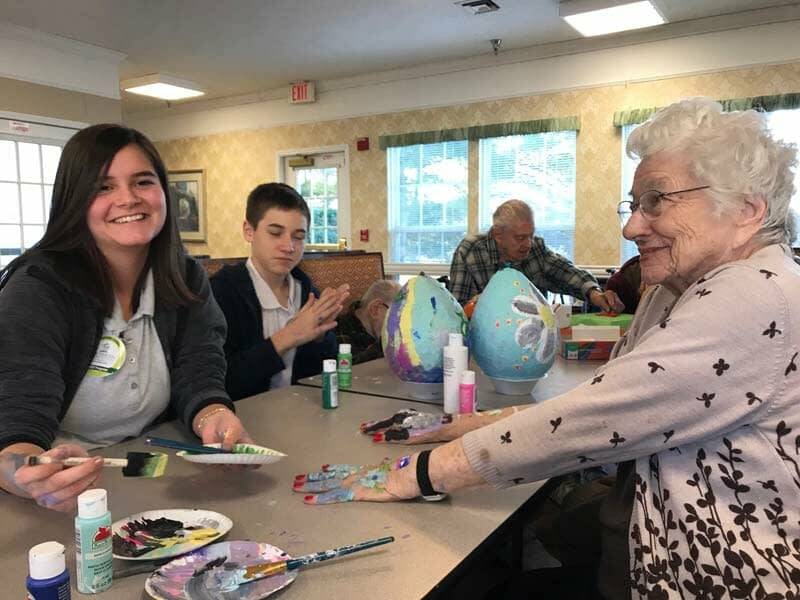 A group of students from Greeneville Adventist Academy recently spent the day with the residents of Morning Pointe of Greeneville (TN). Although separated in age by several generations, both the students and the residents of the assisted living community bonded over crafts and conversation. If you are interested in becoming a part of the intergenerational programing at Morning Pointe of Greeneville, contact Amanda Buech by phone at (423) 787-1711 or by email at greeneville-led@morningpointe.com.